A while ago, I had a wonderful conversation with Pragya Sharma (Assistant Manager - HR) about Oyster Learning and how they are bridging the gap, making sure students are ready with the skill sets required for the corporate world. Tell us something about Oyster Learning. Oyster Learning was started by Rimy Oberoi five and a half years ago. It is the parent company of OysterConnect.com an online portal which connects Industry Professionals and Educational Institutes. It provides a platform for experienced Industry veterans to share their wealth of knowledge with graduates through mentorship, workshops, corporate projects and much more. This network allows Educational Institutes to incorporate the much needed industry exposure to their students' course work. It also allows students to directly interact with the Professionals via a unique "Ask a Question" feature. Students hence get to ask the Industry Professional a variety of questions relating to Career, Skill, Knowledge etc. What was the idea behind Oyster Learning? Being an HR professional, Rimy often felt that a lot of graduates were academically ready to face the corporate world but they were lagging in Industry knowledge. More often than not, even when the institute did manage to bring in a good speaker, they would end up giving an overview of the topic instead of providing precisely what needs to be told. She was keen and passionate about bridging that gap between Industry and Academia so the students are benefitted from day one when they join the corporate world. That's why the company was founded - to bridge the gap. 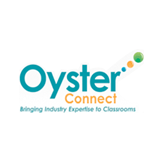 OysterConnect.com currently has 3000 + Industry Professionals from 500+ companies that are passionate about teaching and training the young minds. The online portal is easy to navigate and you can reach the right Industry Professional in no time at all. How many colleges have you got on board till now. 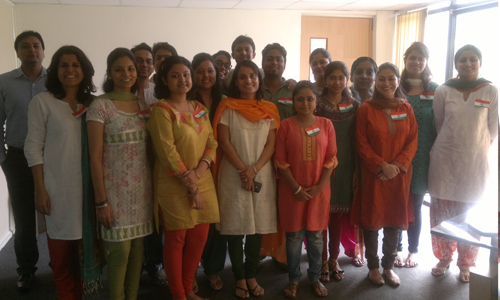 We have partnered with 47 colleges till now and are focusing mainly on Delhi NCR, Pune and Bangalore region. How many of you are working on this goal to bridge the gap? There are 24 of us right now. I was the first employee of this company and I have been here from day 1. I'm managing both HR and Finance. How difficult is it to manage two crucial aspects of the business? Right now we are using Zoho CRM to manage our client data. Zoho Books was an amazing discovery. We were looking at Zoho's online suite when we chanced upon Zoho Books and decided to explore it. The first thing I noticed is the language... it is so simple! As I'm not from an accounting background, I'd shied away from all accounting applications. I was in desparate need of an online software which would do the invoicing and help me keep a track of our funds. Tally software is way too technical for me to understand and is restricted to the desktop. With Zoho Books, I can access the financial details of our company at any given point, even from my home. For a person with zero accounting knowledge, Zoho Books was very easy for me. I did not require any kind of demo or training to get started and your customer support has been phenomenal. All my queries are answered within 24 hours and it's just outstanding. We spoke for a few more minutes about how networking websites have helped a lot in their business and life in Delhi before wrapping up the interview.